Timothy J. Walsh is an experienced attorney assisting people and the families of people who have suffered personal injury or who have been killed in accidents of any type in the areas of Santa Cruz, Watsonville, Salinas and Hollister. As your personal injury lawyer, Tim Walsh specialize in serious personal injury and wrongful death lawsuits. He handles claims for personal injury of all kinds, whether from an auto accident, truck accident, bicycle accident, dog bite or slip and fall. He also successfully litigates medical malpractice and dental malpractice cases for clients injured by a doctor’s or dentist’s negligence and malpractice during surgery, childbirth, dental or other procedures. Tim Walsh handles a wide variety of business disputes, including complex contract actions, partnership disputes, employment disputes, professional liability claims, and unfair business practices. As a business lawyer, he also advises new business clients on corporate formation, Limited Liability Companies (LLC) and partnership agreements. His business clients range from small business owners and non-profits to consumers in business disputes or contract actions. Tim Walsh is based in Watsonville and represents business clients in Santa Cruz and Monterey counties and surrounding areas, including Salinas and Hollister. Tim Walsh is available to consult on both residential and commercial real estate law. He represents buyers and sellers, contractors, subcontractors, property owners and managers in contract negotiations and disputes involving fraud, mortgage problems, construction defects, easements and boundaries and quiet title actions, partition actions, and mechanic’s liens. He also represents and advise consumers facing foreclosure or post-foreclosure unlawful detainer actions. In addition, he drafts real estate documents such as co-ownership agreements for unrelated parties who will hold title together, well and private road agreements, purchase and sale agreements, residential and commercial leases. Tim Walsh practices real estate law in Santa Cruz and Monterey counties and the surrounding area, including Salinas and Hollister. 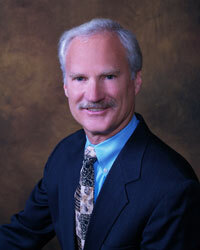 Tim Walsh has expertise in handling a variety of complex construction disputes in Santa Cruz and Monterey counties. He represents owners, developers, builders, contractors, subcontractors, and buyers in construction defect suits, construction contract preparation and contract disputes, mechanic’s liens, and soil and erosion issues. Tim Walsh can resolve construction disputes for single residential structures and larger developments, including condominium complexes, planned unit developments in the geographical areas encompassing the cities of Santa Cruz, Watsonville, Salinas, Hollister and Monterey.